Window display inspired by Elsa Schiaparelli and her infamous Lobster Dress. Mannequin is styled to represent clothing during the Surrealist movement. 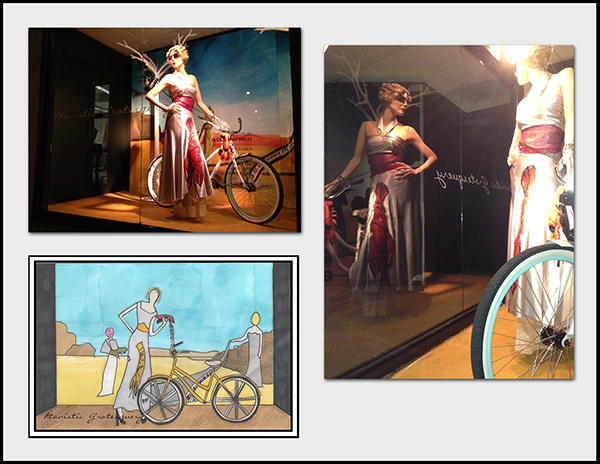 She is placed in front of a painted replica of a Salvador Dali piece alongside a cruiser bike and is accessorized with a phone that has been embellished with a lobster.